Recently the rediscovery of an old vintage cigar box containing some old and yellow aged letters sparked my interest. These date back to the World War 1 era and a particular correspondence letter from 1920 will be shared with readers of this particular article. The sentimental letter was written to my paternal grandfather by a war buddy of his after they had both survived their part in the war. This is one of several personal letters that were kept in this small cigar box all these many years from that same friend. Obviously they had forged a bond between them that lasted beyond those days of the early models of airplanes being used in that first World War. The dimensions of this vintage cigar box are 7 1/4 inches by 5 1/4 inches with a depth of only 1 1/4 inches. The old stamps on the exterior of the box are interesting and the inside lid of the box shows a beautiful picture of a horse named Alcazar. For some reason it seems that many old cigar boxes are adorned with pictures of horses. August Uihlein (1842 - 1911) and his brothers, Henry and Alfred who came from the family who developed the Jos. Schlitz Brewing Company of Milwaukee, Wisconsin fame also apparently loved horses. Together they owned 1,200 acres of land at Truesdell which is near the town of Kenosha, Wisconsin. By 1900 they had 2,000 trotting horses! $25,000 was paid for the horse named Alcazar which was undoubtedly a lot of money back in that time. Alcazar was born in California in 1883. He was an award winning horse who adorned the wrappers of cigars for over half a century. Perhaps he was also featured on other vintage cigar boxes? Writing letters has almost become a lost art in this day and age. But back in the early part of the 20th century letter writing was a much more common way of communication. Telephone lines were strung in cities and out into the countryside. Many people back in those earlier times shared a party line meaning that others on the same telephone line could overhear conversations or even chime in and add to the conversation. Telegraph offices still existed and one would give the message to the telegraph operator to type out and transmit via the wires to one's recipient. Again there was no privacy between the sender and recipient. A personal letter was about the only way one could economically transmit news or share feelings between people and have it be a private form of communication. Learning handwriting skills was taught in schools. Many a sheet of paper was used in cursive handwriting practice back when I was in elementary school! Beautiful handwriting was more the norm and letter writing skills were developed with practice. We have lost much in this day of more common emails and texting. In the future there will be fewer letters like this one from 1920 to reread, cherish and from which to learn. I regret that I have been unable to answer your interesting letter until so late - but going on the theory that it is better late than never, I am seizing my first opportunity to make amends. Everything it seems has conspired to take my time. My girl in Tenn. was sick a month of acute articular rheumatism and died. I do not begrudge that time, I only regret that her young life was so untimely withdrawn from us. Then the weather cleared up and we started farming again. We have about 350 acres of good looking oats, and more than half of the remaining ground listed and ready for planting corn and cotton. Another week of fair weather will see us ready for planting time. Our wheat is looking good - other people say it is the best looking wheat in the county. Say - you remember Lieut. Phillips, M.H. Brown's pilot at the front? He fell and was burned - died the next day. Also the big red faced pilot, Harry Smith, who came to our squadron just a few weeks before we left Clamecy? Another Lieut. collided - or rather ran into him, cut off his tail - and both were killed. All these happened at Kelly Field. Smith was a personal friend of mine - and a wonderful pilot - a most excellent man. All these things remind me how fortunate any airman is who flew over the front and came home to quit the game. The death rate was terrible - but it might have been greater. The splendid work and sincere co-operation of the air service men on the ground more than did its part in winning the war and in conserving the lives and limbs of those who did the real flying. And I want to tell you that no one in all the list did a better, a more unselfish, a more patriotic work than you. Always on the job - every machine you allowed to take the air was perfect even to the smallest detail. Such manhood mixed with ability and willingness is not often seen in this world - you are the exception, not the rule. Thus have you ever been in my esteem - and your place there shall ever grow and enlarge. But I have told you all this before - just wanted to repeat so that you may know I am sincere in my beliefs. I had a circular card from Morse the other day saying that soon he is to mail us a squadron roster, and the return card asked for our correct address. I'm sure you have received the card also. I shall feel better about it however when I really have the roster. How is your business coming? I hope it is going satisfactory for you. It ought to get much better with the advent of Spring and Summer. I'm always wishing you success in your ventures - and if wishing means anything, you will always have an extra bountiful success. I have several more letters to write tonight so will close this with a promise to do better next time and in reiterating that I have not and never shall forget you. It is such a pleasure to be able to read a letter like this about a grandfather that I never got the chance to meet. He died of pneumonia when my dad was only 7 years of age. Antibiotics like penicillin did not yet exist. My grandmother always told me what a fine man he was and a correspondence letter from 1920 like this as well as others in that old vintage cigar box serve to confirm that accolade. Do you have and keep old and cherished letters or cigar boxes? I have some old cigar boxes. Home of Mr. Rogers after his military service. How I Miss Those Handwritten Letters? Yes...Frisco, Texas would have been very rural when this vintage letter was written. Much has changed since 1920 by way of population and so many other things. Mr. Rogers and my grandfather would be astounded to think that we are now communicating this way with one another. They would probably never have dreamed it possible! This letter is such a treasure of your family's history and speaks clearly of the esteem in which your granddad was held by his peers and service buddies. I was astounded by the location from which he wrote: Frisco, Texas which is quite near us by about an hour. At that time it must have been primarily rural and way out in the country. Now, there is much development, in fact, it holds the hospital where we both have been patients. Thanks for sharing this insight into the past. You are lucky to have such a treasure. And, I love the story behind the horse on the cigar box. At my age I now like making sure that things are passed on in the best manner possible and for the best effect. Since this letter is historical in nature it is nice that it will be preserved and others may get to see it and learn from it. I have done that with other things as well. I still have the cigar box but as to the letter...it is now in the Frisco Heritage Center and Museum. I checked with family members first and they were fine with my donating the letters to the museum. Apparently the Rogers family were prominent in that part of the state and there is even a Rogers Elementary School named after them. I agree. Finding that vintage letter was so informative and interesting particularly as it referred to history as well as my grandfather's part in it. What a wonderful glimpse into the past, into another life. You are correct in that Kelly Air Force Base has had a long history. I took a couple of tours of Kelly. They flew the Shah of Iran into Kelly when they took him to the U,S. for medical treatment. That was the pretext for taking over the U.S. embassy in Tehran. The Space Shuttle Columbia stopped off at Kelly on its way to Florida. They originally weren't going to open the base to the public for it but the public interest was so high they relented and let the public in. That base had a long storied history. I agree that this letter was very interesting. Many people have passed through Kelly AFB through the years during their training. Thank you for posting, That is a very interesting letter. It has some good information about the early days of Kelly Field, later Kelly AFB. When I was in San Antonio Kelly AFB was one of the 4 major USAF bases in the area. Thanks for taking the time to leave such a detailed comment about this piece. This really does reflect a time in history regarding several subjects as you noted. Thanks for your vote and the share. I love the way you wrote this hub, beginning with the topic of old cigar boxes. I love old boxes, especially cigar boxes although the one I have doesn't have Vintage's picture on it. $25,000 is a lot to pay for anything even today! Your recalling how people learned to write and how it was taught in school brought back memories and it's nice to know that you've detailed this process, as it's the minute things in life that reflect a society, so it is good for posterity. The letter itself, at the end was so beautifully written. People then took a lot of time to write, spell and punctuate correctly and reading books was the norm, so natural letter writing off the top of one's head was very compelling. At the same time, the tone of his letter, the mention of pilots who died left behind a sense of those days and lend insight into what that generation had endured. I love this piece. Voted up and shared. People often used to use books for pressing flowers and like you found, a four leafed clover. Amazing to think just how old that could be. Glad you found this post interesting. Thanks! What a nice, newsy personal letter (and great handwriting). I always had trouble with handwriting, but I am capable of it. My teenage niece and nephew can neither read nor write cursive letters. Such a shame. I actually measured an old letter in a scrapbook that I have (dated 1947) and it was 7 1/8 inches by 10 1/2 inches. The letter that was referenced in this article has been donated to a museum up in Frisco, Texas...so I can only estimate. It seems to me that it was about 6 X 9 inches or so, but obviously I can not give you exact dimensions. My suggestion would be to go to a museum in your area and see if you can talk to a curator. Perhaps they can answer your question more accurately as to the various sizes of old letters. I did look online but it was not very helpful. It mostly talks about the standardization of paper sizes in the various countries and states that until standardized, there were many sizes because of hand-made papers, etc. Hope this helps. Thanks for your query and comment on this hub about an old correspondence letter dated 1920. I agree with you that even the few people who still write hand-written letters no longer use terminology like what you featured in quotes from this letter dating back to 1920. So happy that you found it of interest as well as the vintage cigar box. I have several of those cigar boxes in our home that have been kept through the years. Appreciate your comment and votes. "Thus have you ever been in my esteem." Boy, they don't write like that anymore. What a wonderful hub - from the beautiful and poignant letter to the vintage cigar boxes. You really did it this time, Peggy. Voted up and awesome! Yes, that old correspondence hand-written letter to my grandfather, dated 1920, is certainly a nice thing for me to have learned about and tucked away safely in my memory. The actual letter now resides in a museum and will be safeguarded for a long time to come. Thanks for your interest in this hub and for your comment and vote up. Peggy w, what a fantastic hub. The whole tone of your grandfather's friend's letter shows that he held your grandad in very high esteem. We can't begin to imagine what their war experiences were like and it was probably a rare thing to befriend someone and for both to survive the war. The fact your grandfather kept these letters perhaps shows that he valued this man's opinion. I bet he went to the cigar box occasionally to reread them. A great memory for you to keep too. Voted up. Thanks for sharing this vintage letter hub from the WW1 era. Appreciate it. Socially shared (Tweeted) Thanks for sharing. Voted interesting. Those particular letters are now safely preserved in a museum up in Frisco, Texas. I am currently working on some that were letters of recommendation for my paternal grandfather that date back to the days preceding World War 1. Thanks for your interest and comment. Something so antique; something so delicate. So nice to know that you also have some hand written letters from your great grandfather dating back to World War One. Will try and find your hub. Thanks for your comment. I also was lucky enough to receive hand-written letters from my great grandfather, an Australian soldier in World War One. My hub will share some of these also - it is great to see other people memorializing the precious letters they have found or been entrusted with also. I'm not surprised about the lack of emphasis on teaching handwriting skills. The last many thank you notes (when we get them at all!) from high school and graduating college students have been in a form of hand printing much like we would have learned in the first few grades of elementary school. Penmanship skills are fast disappearing! Yes...I doubt that emails will ever be cherished quite the same as hand-written letters. I sorely regret that every vintage cigar box my parents left behind was lost in one move or another, or my son used them to hold his Hot Wheels collection, now long gone! Old letters, however, are safely tucked away for posterity. 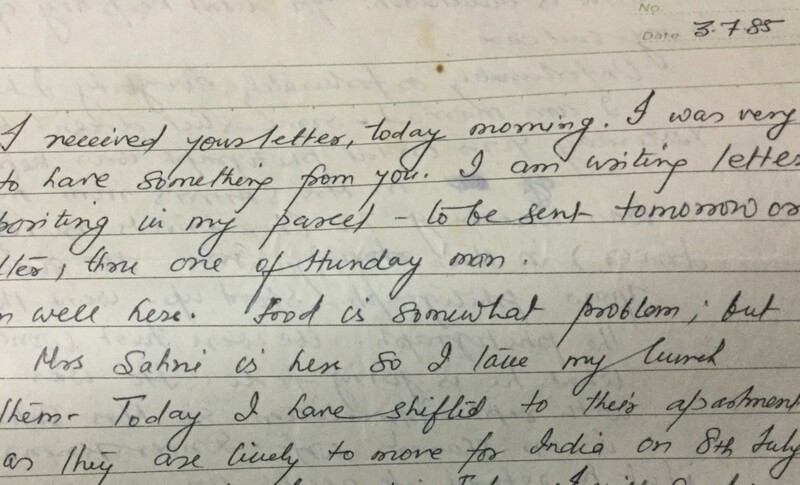 I treasure a packet of letters to my grandmother and my mother from my great-grandmother who lived 2,000 miles away and letters were their only method of communication. Another set of letters I treasure - only transcriptions of the originals - are to another ggm in KS from her brother in Illinois. They are filled with the usual tidbits about the weather and notable events in his town, but also contain many references to his and his wife's life-long love affair. The one in which he tells of his heartbreak at her unexpected passing had me reaching for the Kleenex 100+ years later. I can't imagine many emails will be passed down to future generations, let alone with the same awe and reverence we attach to old, hand-written letters. Worse, I heard on the news the other night that many elementary schools have decided to stop teaching children to write in cursive, so handwriting itself will soon be a lost art. What a pity! Nice that you also have some old letters from (or about) your forefathers. 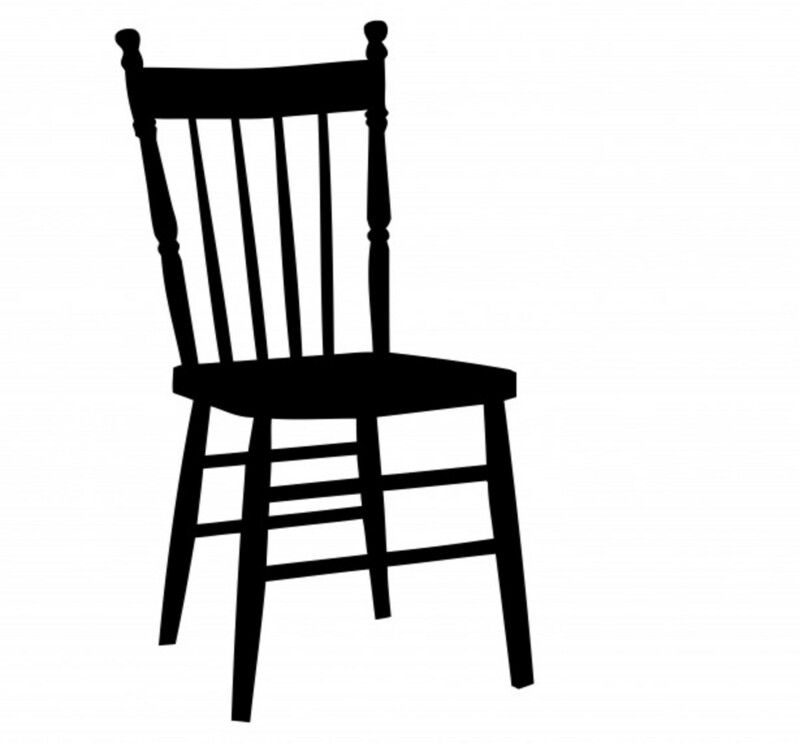 Lends a sense to family history especially when there is no one left alive to pass these stories on verbally. Thanks for your comment. We have a few of these treasures from my forefathers and adds a little special sense to it - romantic if you like. Loved the story and presentation. $25,000 was undoubtedly a lot of money for a horse back in those days. My grandmother always spoke so highly of my grandfather. Too bad that he had to die so young and that my dad and the rest of the family were not able to benefit from his presence and the things that could have been learned from him. Thanks for your wonderful comment. $25,000 for a horse in the early 1900s--wow. It was beautiful, though! 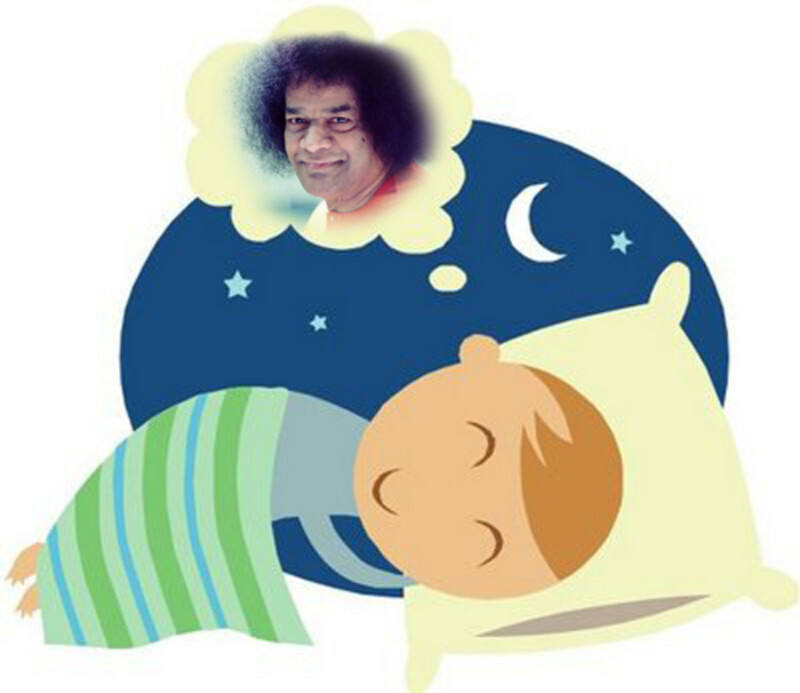 Many thoughts crossed my mind as I read that wonderful letter. I think to sum it up I would have to say that your grandfather had the character and breeding of a prince. He does not seem to be merely aristocratic, but to be like a monarch. Oh, that today's society would, rather could, teach men how to be such men again! Yes it is nice to have these old letters with reference to my grandfather. That vintage cigar box holds some other treasures as well. I have a few other old cigar boxes in the house in which my mother kept her curlers. Wonder how all the old and vintage cigar boxes out there are being used? Probably as many uses as there are people using them! Thanks for the comment. Peggy, you're absolutely correct, letter writing is a lost art. How wonderful that you have a momento of your grandfather, especially since you were never given to opportunity to know him. The cigar boxes are lovely. The more modern ones aren't quite the same. I checked again and once again all my gmail account shows is another comment...no direct email address. ? Yes, as long as there is a link to this HubPage, you may use direct quotes from this hubpage article. Just looked in that same cigar box and there is one more letter from Mr. Rogers from Frisco, Texas to my grandfather. Perhaps a museum in Frisco would be a great place to entrust these letters. I will check with some remaining relatives to see if they like that idea. I will try contacting you through your HubPage link and see if you get my gmail account that way. Let me know. I just went to my Google gmail account and saw that you had commented twice but there is no email address listed for you. If your editor will agree to let you post a link to this HubPage hub, then you have my permission to proceed. Obviously I never met my grandfather since he died when my dad was only 7 years old, but this letter and others speak to his character of which I had always heard wonderful things from my grandmother. Is is a print magazine that reaches over 60,000 readers in Frisco. I would love to include a photo and some quotes from you about the origin and it's meaning to you and the some of the content as well. I hadn't thought about a link, but will see what my editor thinks. I also sent you an email on the above "Contact PEGGY W" link with my email so we could talk directly. I am not sure if you had gotten it or not. I think the this would be wonderful to share with the residents of Frisco! Let me know your thoughts! Thank you! Happy to be able to share this great correspondence letter from 1920 with you and others. I had no idea when I started a search on youtube for vintage cigar boxes that they are making guitars out of them! Rather fun listening to the music. Thanks for the comment and God bless you dear Micky! Very incredibly amazing! Your story is so wonderful about your grandfather and the letter. Then the box juggling, then the cigar box guitars! Great hub as so usual! Thank you so much Peggy. God bless you dear! This correspondence letter does go back in time to 1920 after Mr. Rogers and my grandfather had come back safely from their part in World War 1. I really enjoyed the choice of words that were chosen to use as well as the information in that handwritten letter. 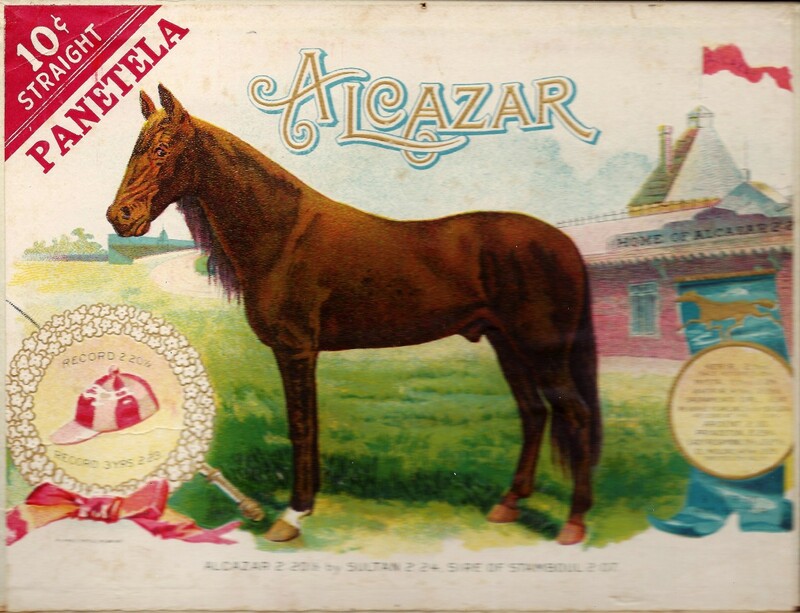 The old cigar box is also interesting with that horse Alcazar pictured on it. Glad you found this entertaining. Thanks for the comment. I really entertained with this hub. I never knew about this before. Peggy, thanks for share with us. Vote up. God bless you. You are correct when you said that no cigar box can ever hold our tweets, hubpage comments or emails. Correspondence letters like this particular one written in 1920 are becoming a lost art. Thanks for your comment. You are most welcome. Happy to hear that you enjoyed reading this correspondence letter written in 1920 to my grandfather from a war buddy of his. Thanks for the comment. Hi Peggy, how wonderful to have this old letter in your possession. It's a link in time between you and the grandfather you never knew. So much correspondence these days is done via the computer, and most of it is destined to be lost, never to be re-discovered. No cigar box will ever hold our e-mails, tweets and hub comments! TGhank you for sharing this treasure with us. 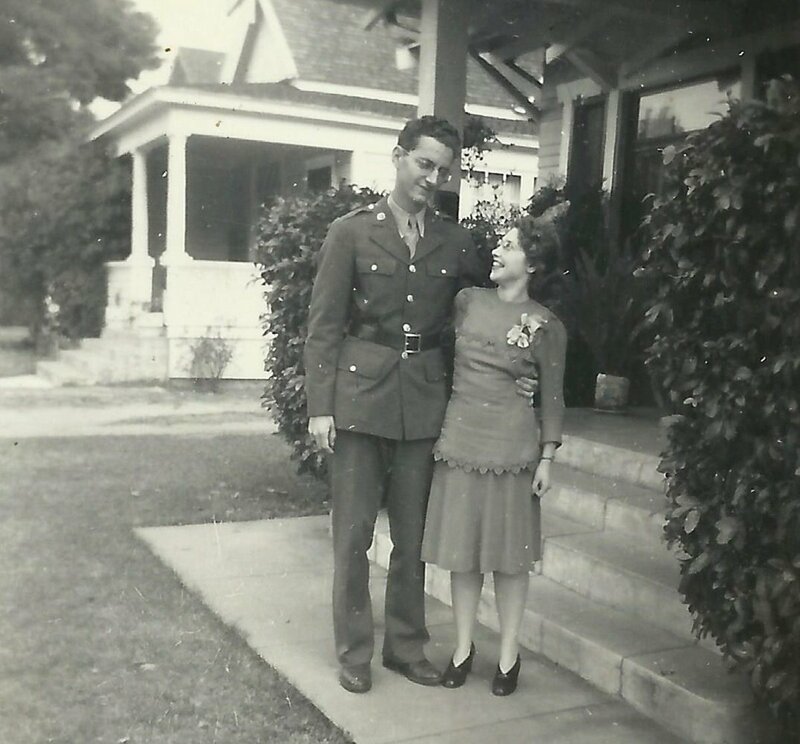 It is wonderful that you have those correspondence letters between your mother and father written during WWll. Were any portions of your father's letters blocked out? That was common back then so as to not give away any secrets to the enemy were they to fall into enemy hands. Somehow I believe that the people who were taught the fine art of letter writing would be shocked to see what has happened to our language and modern ways of communicating. Depth of meaning and nuances are lost in quickly dashed off tweets, for instance. Thanks so much for sharing this wonderful letter, Peggy. It was a joy to read, as were your words. Interestingly, your Hub comes on the heels of a Hub written by Amanda Severn about WWI artists, a Hub that draws you into the immediacy of that time and place through painting and poetry. Mr. Rogers's letter, written shortly after the war, adds another dimension: reflection on the past, the immediate past, from the perspective of having returned home from the front. It was a deeply moving experience to read these two Hubs together. I am fortunate to have a collection of letters written by my mother to my father during WWII while he was stationed in the Pacific. While these letters post-date Mr. Rogers's letter by nearly a quarter-century, they too are examples of the art of letter writing. I have to smile cynically when I think of Mr. Rogers communicating his thoughts in 140 twitter characters. Whatever would your grandfather or anyone else have learned from that? Nice to know that you have some of your grandparent's letters and photos! Correspondence letters such as the one I shared here written in 1920 are really documents of sorts. We can learn many things by reading them. Thanks for your comment. I was actually aware of this vintage cigar box for some time and had previously read the correspondence letters and other letters some time ago. Since my mother's death, I have been going through things and rediscovered it and in rereading the contents, thought that it might be nice to share with others. It not only shows the care people took with their handwritten letters, but also civility, heroism, gratitude and so much more from that timeframe of the first World War. The grammar utilized was also of interest to me and I am sure others as well. It must be a surprise to find a memorable letter, specially about a person who'd passed away. The letter also gives impression how heroic people at that time were. So very sorry to hear that you had a house fire last year. Hopefully you were able to salvage much of what was most important to you? Keeping important correspondence letters in a fire proof box instead of a vintage cigar box is probably a good idea! Learning about the horse Alcazar led me to learning about the Uihlein family of Milwaukee beer fame. Glad that you enjoyed that as well. The letter was a wonderful find, thanks so much for sharing it. I also keep old letters, but now they're safely tucked away in a fire proof box, since my house burned last year. I also like learning a little history about August Uihlein. Thanks for an awesome Hub! Looking forward to reading more of your hubs also. Thanks! That is a great idea! 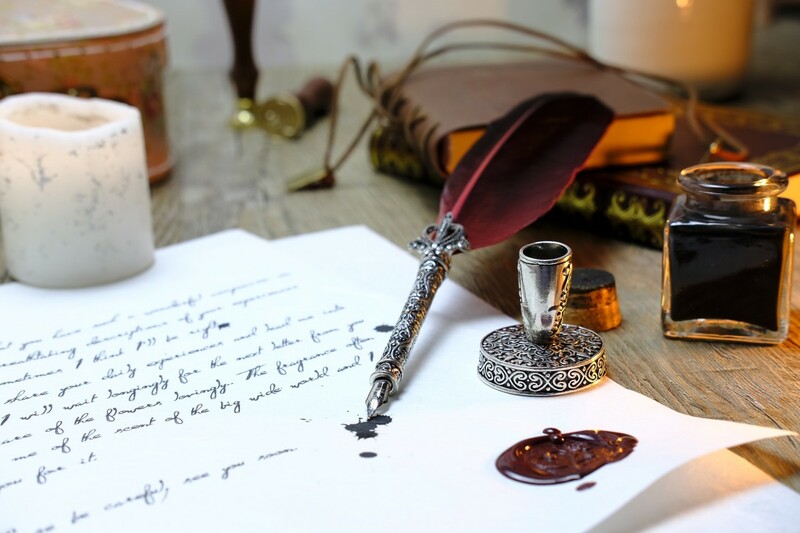 Letter writing can take many forms and whether you are writing about your ancestors, your mememories of your childhood and life or even what you can tell them about their early years will hopefully be cherished long into the future. Even as they grow into adults, feelings about current events or family events can be shared in a correspondence letter or diary. Everybody has a unique story that can be told. I have been trying to write letter to my children in a diary to cronicle more of my life. 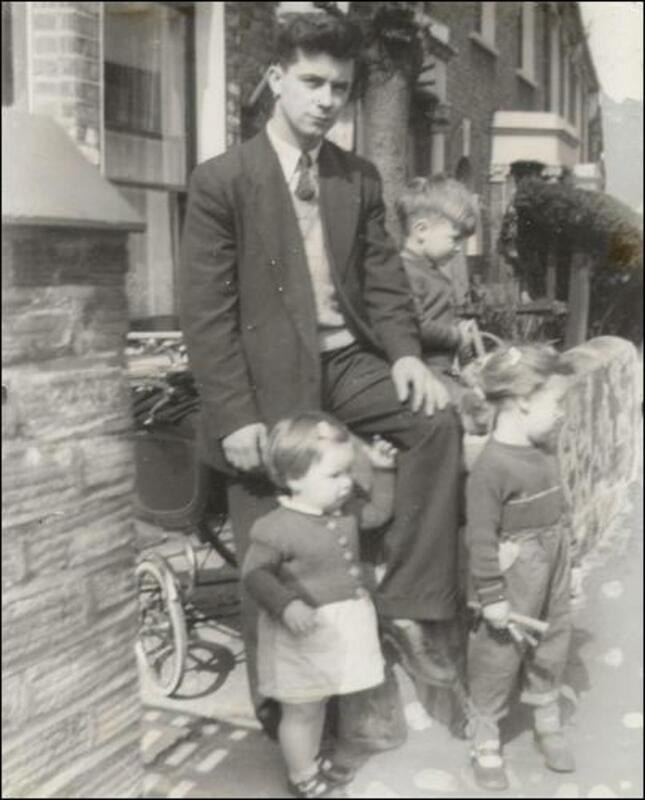 I have much more that could be written about this grandfather that I never got to meet. This correspondence letter is just one of many kept in that vintage cigar box. Those early days of flight forged great bonds between the men who were a part of it. Thanks for your comment. This is a great hub on your correspondence letter from the 1920's. I really loved your tribute to your paternal grandfather and the emotions you shared in your writing. The vintage cigar box is indeed a treasure. Awesome. I agree with you that family history is nice to preserve and pass on to future generations. Old correspondence letters like this one from 1920 can teach us things whether we were related to the person or not. It is a time capsule of events when written as nicely as this letter was written. There is more history in those folded pieces of paper inside of that vintage cigar box. Glad that you found this hub interesting and thanks for the comment. The letter that you discovered is a wonderful link to your grandfather’s history. One of my grandmothers died before I was born, so I never met her. I often regret this. I would have loved to have talked to her or read things that she wrote, but I do have a couple of photos of her and other people’s memories. I think that it’s so important to preserve what we can of the past – once it’s gone, it’s gone forever. Thank you for an interesting hub. Like you I also like old cards and have some tucked away into scrapbooks. Those also have changed over the years. Thanks for taking such an interest in this old correspondence letter dated 1920. I just may share more out of that vintage cigar box if there is more interest. I thought that it was interesting, but I was not sure just how many others would think it to be so. Not only the handwriting, but the choice of words in this old handwritten letter I found to be enjoyable. Thanks for your comment. It would be fun to see some of the cards you have saved through the years in a hub! Thanks for reading this hub about that correspondence letter written back in 1920 and stored for who knows how many years in that vintage cigar box. I would guess just about an equally long time! Will check out that website you recommended. Thanks! Checked it out and realized that I have clicked on it many times donating food and such. The cost is free for those that wish to participate and help animals. I know what you mean. The part of Houston where we now live used to be used primarily for growing rice. Farming was a more typical way of life back almost a century ago. I keep old letters in a tin, old books (from the 1800s) on my book shelf, and both old and new cards in a scrapbook. I find them very entertaining, and yes, good writing is a lost art. Some people ask me why I do this when they are worth so little, and I reply "Because I like their style and grace." Good work, and I would love to read more. Frisco now is anything but country. It's growing fast and one of the more expensive areas to live. It was hard imagining crops like Mr. Rogers was talking about in the Frisco I know. LOL! Funny how things change so dramatically. I also thought that it was interesting that Mr. Rogers came from or settled in Frisco, Texas. 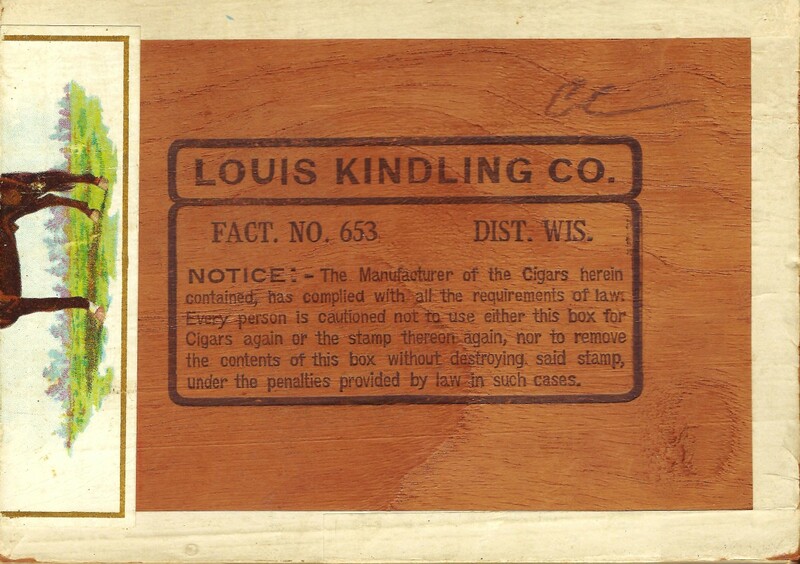 My grandfather lived in Wisconsin...thus, the vintage cigar box originating from that place. Happy to hear that you enjoyed this old 1920 correspondence letter from the past. It would appear that Mr. Rogers had quite a sizeable farm in Frisco. Wonder if any of his relatives still live near there? I have several vintage cigar boxes in the house. One old cigar box still holds my mother's hair curlers. I have not yet had the heart to get rid of them yet. Reading that old correspondence letter from 1920 certainly confirmed what my grandmother always told me about my grandfather as to his being such a fine upstanding man. I have other letters. Thanks for your comment. The first thing that caught my eye about the letter is that it was from Frisco, TX. I live really close to Frisco. I love stuff like this.. it's so neat you have this to be able to kind of see how it was back then and know a little bit about your grandfather and what kind of person he was. Thank you for sharing this- stuff like this is always fascinating. As you said, this correspondence letter from 1920 found in that vintage cigar box is living history indeed. I'll have to write more about that grandfather that I never got to meet in this life. Antibiotics have definitely served to save many lives since their discovery. It is wonderful that you also have a cigar box and another box full of significant letters. Years ago when both of my brothers were still alive I gave them each the bundles of letters that were written to me when they were both in Viet Nam. They are now both gone and so are the letters. Now I wish I had kept them! As you say, correspondence letters such as this one from the year 1920 offer interesting insights as to not only what was transpiring back in that time, but the art of letter writing as well. That vintage cigar box holds other treasures as well which sheds more light upon my grandfather's character and the path he walked in life. I may have seen fancy cigar boxes like those but don't remember them. Plain cigar boxes made of some sort of paper I think were common and kept to store small parts. Nobody in our house smoked cigars but we got the boxes at the local drug store. The letter you found contains a lot of history. What a wonderful testimonial to the fact that a well written letter like the one your grandfather received from his friend can "live on" to impact future generations and can also serve as living history. In this case, it's humbling to realize how fortunate we are to live in an era of antibiotics and medications which could have saved both your grandfather's life, and the life of the letter writer's beloved. My husband keeps a cigar box of photos and letters from his time in the Vietnam war, and we both have a regular box filled with letters that we wrote to each other during our engagement period when we were separated while completing our college studies. I enjoyed this hub and agree with the sentiments you expressed in it. There's nothing quite as special as receiving a heartfelt handwritten letter in the mail and though I mostly send emails at the present time, I still occasionally send letters. Letter writing is definitely a lost art, Peggy W. Unfortunately, the personal nature of most letters leaves us with few examples to see and admire. 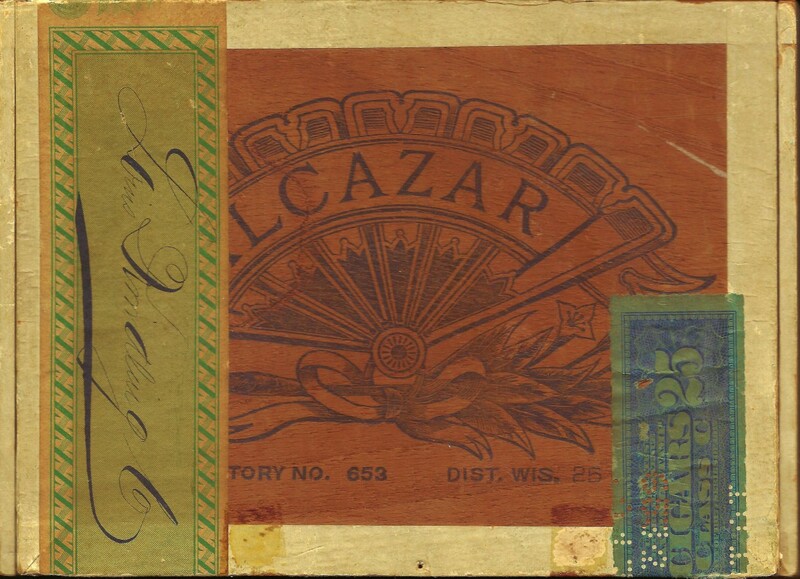 It's wonderful that you have uncovered the treasure of a cigar box full of fascinating letters. The letter to your grandfather from Mr. Rogers is a wonderful example of a well-written letter crammed with valuable and interesting observations. I doubt if today's emails or Facebook communications will match the interest this kind of old letter conveys to contemporary readers.